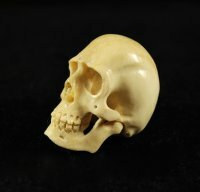 Hand Carved Bone Skull [CARV-01] : Fossils Online, Welcome! 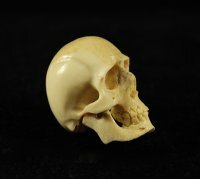 Absolutely amazing detail on this skull that was carved from moose antler. Carved in Bali, these artisans show amazing skill in their carving ability. I was so impressed, that I had to buy some to share. 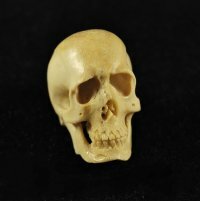 This skull measures 1 1/2" tall.